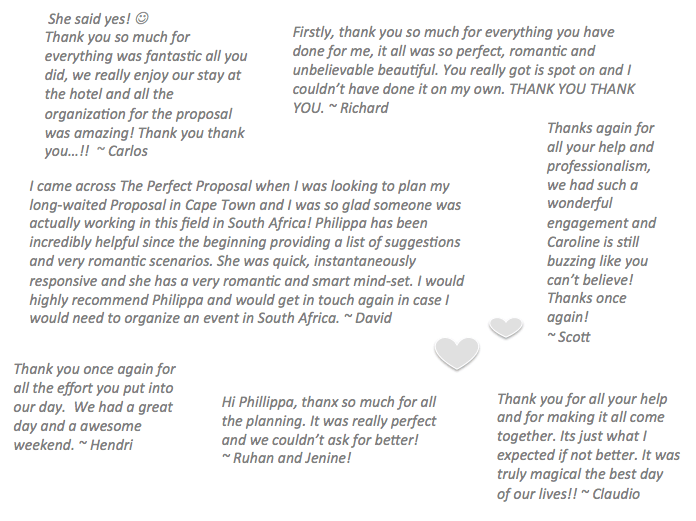 We thought we would share some of emails we have received from our happy clients over the past year! 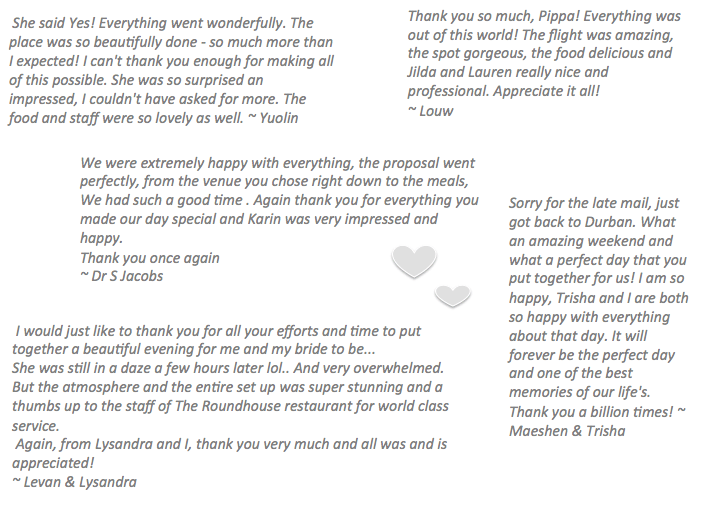 Its always so wonderful hearing they had a great time! Its a very special and exciting occasion in a couples relationship, it needs to be PERFECT! As we say, the story is told for generations to come!